The Treaty of Friendship, Cooperation, and Mutual Assistance between Finland and the Soviet Union – Its Underpinnings, Operation, and Cancellation. 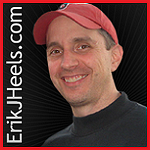 First published 12/18/1993; ErikJHeels.com; publisher: GiantPeople. D. On the Eve of Another War? On January 20, 1992, Finland and Russia formally canceled the Treaty of Friendship, Cooperation, and Mutual Assistance (Treaty of FCMA) that had been signed by Finland and the Soviet Union at the end of World War II and at the beginning of the Cold War. The cancellation of this treaty raises new international law questions and renews some old ones. In this paper, I will analyze three of these issues: 1) Was the Soviet war on Finland legal? 2) Were the peace terms imposed on Finland by the Soviet Union Legal? 3) What will be the effect of the cancellation of the Treaty of FCMA? The cancellation of the Treaty of FCMA cannot be properly understood without a discussion of its underpinnings — the events leading up to its signing — and its effect while in operation. In Part I, I discuss a history of the relationship between Finland and the Soviet Union immediately before and during World War II, and I address issues one and two in historical context. In Part II, I discuss a history of the relationship between Finland and the Soviet Union since World War II (and with Russia since the demise of the Soviet Union), and I address issue three in its modern context. Finland is a relatively small country, 130,000 square miles in area with slightly less than 5,000,000 inhabitants. Finland first became independent in 1809, when Tsar Alexander I of Russia gained control of Finland in a war with Sweden and made Finland an autonomous Grand Duchy. Full independence did not come until 1917, when the tsarist Russian regime came to an end. Finland declared its independence as a nation on December 6, 1917. 1 In World War II, out of a population of approximately four million, some 86,000 Finns were killed, and 57,000 were injured. The cost of war for Finland was very high, but Finns pride themselves on their independence and on their neutrality. Finland fought with Germany against the Soviets in World War II, confident of a quick victory on the Eastern front. Some of the elite educated in Finland had a vision of a unified Finland. Finnish territories had been taken by the Soviets in the past, and some Finns thought that allying with Germany would ensure quick victory and would realize the dream of a “Great Finland,” the reunification of Finnish territory with once-Finnish territory. This dream did not come true. The Finns were indeed interested in keeping all of the Finnish territories together, and this nationalistic desire for a Great Finland catalyzed the war effort for four years, but the cost of maintaining and active army for those four years proved to be too great. The last straw was the massive Soviet onslaught in June of 1944. The Germans were busy retreating, and the Finns were tired of fighting. In fact, several thousand Finns deserted their army. The time had come to sign a treaty. The Finns had successfully fought off the Soviets before, so in the end both sides wanted peace. This peace came at a very high price for the Finns. The real defeat was not the military one; it was the loss of the ideal of a “Great Finland.” Finland had to compromise to retain her independence. She gave up some land and some ideals as well. By 1938, Hitler had risen to power, and the Soviet envoy in Helsinki stated in no uncertain terms that, in the event of war in central Europe, the Soviets would occupy parts of Finland. 2 In August 1938, the Soviets offered to defend Finland in the event of a German attack. Finland refused the Soviet offer of aid. In the spring of 1939, France, the Soviet Union, and Great Britain negotiated about how to deal with a possible German attack. The talks broke up, in part due to disagreements about the continued independence of the Baltic States (Estonia, Lithuania, and Latvia) and Finland. On August 23, 1939, Hitler and Stalin resolved the issue that the Allies could not. In a secret pact, Stalin gained control over the Baltics and Finland, 3 and Hitler gained control over other parts of Europe, most notably Poland. On September 1, 1939, less than two weeks after the infamous pact was signed, Hitler’s Germany invaded Poland, starting World War II. In October, 1939, the Soviets demanded land concessions from the Finns, but the Finns refused. In the meantime, Finland prepared for the attack it thought was coming, and when the Soviet Army did attack Finland on November 30, 1939, the Finns were not taken by surprise. The Soviets set up a puppet Finnish government in Helsinki, an act which enraged and united the country 4 (except, of course, for the Communist sympathizers). Meanwhile, the other Allied nations looked on helplessly, wanting to aid Finland, but not wanting to fight against one of their anti-German allies. Great Britain, France, and Sweden called for aid to be send to Finland, but only Sweden actually send any aid. 6 The Finns, against great odds, kept the Soviets at bay, winning many battles in the winter of 1939. But in February 1940, the Soviets struck back, harder than ever, and this time the Finns did not prevail. Additional aid promised by the other Allied nations would have arrived too late to help Finland, so on March 13, 1940, Finland signed a peace treaty with the Soviet Union in Moscow. Finland gave up large areas of land along its eastern border in the area known as Karelia, it had to lease certain military installations to the Soviets, and it had to grant the Soviet military transit rights across Finland, but it remained and independent nation. In addition, Finland stubbornly resisted more concessions to the Soviets, fearing that giving in to Soviet demands would inevitably lead to Finland’s being re-incorporated into the Soviet empire. And Finland was not willing to give up its recently gained independence. Finland’s decision to resist Soviet demands was not without political consequences, but the consequences would not be realized until later in the war. Finland was not pro-Nazi, it was anti-Communist. 7 Its lifelong enemy was Russia. Finland was politically and strategically isolated, and this isolation became complete when the Germans occupied Denmark and Norway in April 1940 and when, to Finland’s shock and surprise, the Soviets occupied Latvia, Lithuania, and Estonia in the summer of 1940. That same summer, Hitler had decided to attack the Soviet Union through Finland, 8 and in August 1940, Germany requested military transit rights across Finland. Finland strongly desired to remain neutral and independent, but believing it had little choice, and having previously granted the Soviets similar rights, it granted Germany’s request for military transit rights. At this point, Finland had declared war on neither Germany or the Soviet Union and had granted military transit rights to both. The situation became more complex for Finland when, in May 1941, Germany offered to defend Finland from the Soviet Union. 9 Finland could only wonder what would happen if it refused the German offer, so it accepted. But Finland strongly insisted to the rest of the world that it was remaining neutral. A Finnish writer critical of Finland’s so-called “neutrality” wrote: “To let the Russians into the country would be the same to the Finn as letting a fire break loose; to open the door for the Germans has so far been the same to him as calling the fire brigade.” 11 This criticism under-emphasizes the complexity of the situation that Finland faced in the early days of World War II. Historians who write about the aggressors of World War II focus primarily on Germany and Japan. But as Finnish (and Baltic) history emphasizes, there was a third great aggressor in World War II: the Soviet Union. The nations allied with the Soviet Union had to put aside their political and ideological differences in order to wage war against the common German enemy. These political and ideological differences continued after World War II, and became more pronounced, when the Cold War started. Finland had a head start fighting the Cold War in the Winter War, and in the War of Retribution, it continued its fight 1) narrowly, for the Karelian lands wrongly taken from it in the Winter War, 2) more broadly, for its continued independence as a nation, and 3) more broadly still, against Communism. Had Finland chosen another course, it surely would have found itself in the same situation as the Baltic States: just another repressed republic in the Soviet empire. On June 25, 1941, Finland formally declared war on the Soviet Union. The Continuation War began in June of 1941, four days after the German invasion of the Soviet Union, and when German aircraft took off from Germany and attacked Leningrad by flying over Finnish territory, the Soviets bombed Finland in return. As in 1939, Finland fought back. The German forces in Finland were concentrated along the northern edge of Finland’s eastern border. Finland was left to fight the Soviets itself along the southern border, the border closest to Leningrad. And this was the way Finland wanted it. They wanted to drive the Soviets out of Karelia by themselves (they hadn’t counted on the Germans flying over their land), and in August of 1941, they succeeded. United States Secretary of State Cordell Hull, despite the fact the United States was allied with the Soviet Union, congratulated Finland on its victory. 12 Great Britain, however, gave in to pressure from Stalin, and it declared war on Finland one day after Finland called a halt to its offensive in December 1941. The declaration of war by the British never lead to bloodshed, but contrasting it with the congratulations issued by the United States underscores the politically sensitive position that Finland was thrust into. On September 19, 1944, Finland signed an interim peace treaty with the Soviet Union. Stalin imposed harsh peace terms on the Finns, requiring the Finns to pay $600 million in war damages and to drive the Germans out of Finland. The Germans did not go peacefully. The fought the Finns and burned Finnish Lapland as they retreated. The war with Germany lasted from September 15, 1944 to April 27, 1945. For Finland, the irony was complete: Germany has first offered to defend Finland and then ended up destroying parts of it, just as the Soviet Union had done earlier (see footnote 9). Eleven months after the Allied landing in Normandy, on May 8, 1945, Germany surrendered to the Allies. Eighteen months after the United States, Great Britain, and the Soviet Union met at Potsdam, Germany, peace treaties with Italy, Rumania, Hungary, Bulgaria, and Finland were signed in Paris. But the Soviet Union signed no final peace treaty with Germany, as the ceasing of hostilities between Germany and the Allies made clearer the differences between the Soviet Union and the Western Allies. The Cold War had begun. Unlike with Hungary, Rumania, and Bulgaria, Stalin agreed to a compromise with Finland: “a compromise that, as Stalin himself admitted, was [Finnish President] Paasikivi’s version.” 14 Why did the Soviets negotiate with Finland when they just as easily could have taken over the whole country? The answer may never be known, but the Finns had gained Stalin’s respect due to their strong fighting, and although a Soviet takeover of Finland might have been easy, the aftermath might have proven to be unmanageable. “Stalin seems to have believed that … to swallow Finland may [have been] one thing, but to [have digested] it quite another.” 15 Against this backdrop, on April 6, 1948, Finland and the Soviet Union signed a Treaty of Friendship, Cooperation, and Mutual Assistance. Article 10. The Members of the League undertake to respect and preserve as against external aggression the territorial integrity and existing political independence of all Members of the League. In case of any such aggression or in case of any threat of danger of such aggression, the Council shall advise upon the means by which this obligation shall be fulfilled. Article 15(1). If there should arise between Members of the League any dispute likely to lead to rupture, which is not submitted to arbitration or judicial settlement in accordance with Article 13, the Members of the League agree that they will submit the matter to the Council…. Article 15(9). The Council may in any case under this Article refer the dispute to the Assembly…. Article 16(1). Should any member of the League resort to war in disregard of its convenience under Articles 12, 13, or 15, it shall ipso facto be deemed to have committed an act of war against all other Members of the League…. These words clearly indicate that the Soviet Union not only recognized that unprovoked aggression was illegal under international law, but also that it intended to be bound by the policies of the League of Nations. The Assembly, in accordance with Article 15 of the Covenant, attempted to “effect of settlement” of the dispute by sending a telegram to the Soviet Union. The Soviet Union’s reply was that it only recognized the puppet government it had set up in Finland, not the one represented at the League of Nations in Geneva. On December 14, 1939, the Assembly unanimously 18 adopted a resolution which stated, in part, that the Soviet Union had “denounced, without legal justification, the Treaty of Non-aggression which it had concluded with Finland in 1932” and that it had “vainly attempted to justify its refusal on the ground of the relations which it has established with an alleged government which is neither de jure or de facto the government recognized by the people of Finland….” 19 The Assembly Resolution authorized the Council to take action against the Soviet Union under Article 16 of the Covenant. The Council, on the same day, in accordance with Article 16(4), expelled the Soviet Union from the League of Nations. The relationship between the League of Nations to the Soviet Union in 1939 was similar to that between the United Nations and Slovenia and Croatia in 1991 and 1992. In 1939, the League of Nations lost the ability to discipline one of its members when it expelled the Soviet Union. In 1991, the United Nations lacked the ability to give Slovenia and Croatia the protection of International Law when it delay recognition of the embattled nations for six months. 21 In both cases, the international organization responsible for removing the state from — or admitting it to — the organization limited its own ability to act in accordance with its charter. It is interesting to note that the Covenant of the League of Nations purports to protect only member-on-member aggression, while the Charter of the United Nations purports to protect member-on-any-state aggression. In order to determine whether the Soviet peace terms were legal according to international law, it is necessary to determine the source of international law. Although it post-dates the war, the 1945 Statute of the International Court of Justice (ICJ), Article 38(1), defines the four classic sources of international law: 1) treaties, 2) custom, 3) general principles of law, and 4) judicial and scholarly writings. Since the ICJ was essentially a continuation of the Permanent Court of International Justice (PCIJ) established by the League of Nations, one can assume that the PCIJ would have recognized these same four sources. The analysis of this issue is complicated by other academic questions: Which treaty should be analyzed? The 1940 Treaty of Peace (Moscow, 9 articles), the 1947 Treaty of Peace (Paris, 36 articles), or the 1948 Treaty of FCMA (Moscow, 8 articles)? Should the analysis be made according to the international law applicable at the time the treaties were signed? Should the existence (or nonexistence) of an international legislative body capable of resolving the issue be considered? Should “modern” international law be applied in the analysis? An exhaustive analysis of all of these issues is beyond the scope of this paper. Broadly defined, the “Soviet peace terms” includes not only the actual 1940 and 1947 peace treaties, but also the 1948 Treaty of FCMA. For the purpose of the following discussion, however, “Soviet peace terms” refers only to the 1940 and the 1947 peace treaties. First, the Soviet peace terms were legal according to their terms. As treaties, the Soviet peace terms were themselves international law. The treaties were consented to and ratified by both countries. It is difficult, if not impossible, to argue that a treaty that has been complied with by its terms is illegal according to international law. Another question, entirely, is whether the peace terms conflicted with previous Finnish-Soviet treaties. Finland and the Soviet Union had entered into several treaties before the war, including the 1920 Treaty of Peace (39 articles), the 1932 Treaty of Non-aggression and Pacific Settlement of Disputes (Helsinki, 9 articles), the 1932 Convention of Conciliation (Helsinki, 16 articles), and 1933 Articles of the Convention for the Definition of Aggression (London, multilateral, 5 articles), and the 1934 Protocol Renewing the Treaty of Non-aggression and Pacific Settlement of Disputes (Moscow, 1 article). When it came time to write the 1940 Treaty of Peace, the Soviets maintained that the war ended the peace and canceled the previous treaties that had governed such peace. 24 The Finns believed that the war had rescinded only the military provisions of the previous treaty, but the Soviets disagreed. For the Finns, this meant that many of the terms (such as those related to culture, fishing, and navigation) from the 1920 treaty had to be rewritten into the 1940 treaty. It is not clear how this issue would be resolved today, because the effect that war has on treaties was an issue expressly excluded from the 1969 Vienna Convention on the Law of Treaties. 25 It is clear, however, that when two countries consent to be bound by a treaty (as occurred in 1940 and 1947), they are bound. Second, the Soviet peace terms were legal according to customary international law. Inasmuch as war is a recognized, if not the preferred, method of settling international disputes, customary international law seems to be “to the victor belongs the spoils.” This certainly is a realistic, albeit not analytically pure, method of treaty “interpretation.” Peace terms have been codified in treaties for hundreds of years, and the customary nature of this principle of international law is beyond dispute. Third, general principles of law, and fourth, judicial and scholarly writings, do not add to the analysis, but interesting questions remain. How did the Soviet Union’s expulsion from the League of Nations play into the peace talks? Would this event have strengthened Finland’s position if it had won the war with the Soviet Union? Should it have been a consideration since Finland lost the war? That Finland received the stamp of approval from the dying League of Nations was of little consolation to Finland, and any argument made by Finland in 1944 that the final peace treaty (i.e. the 1947 treaty) should have considered the illegal nature of the 1939 Soviet attack on Finland would have been overshadowed by the fact that the Winter War was not the only war that Finland waged with the Soviet Union. Finland’s association (even though not an alliance) with Germany in the Continuation War placed it on the losing side of World War II. 3) Finland must lease some military facilities to the Soviet Union. Finland, therefore, was not in the control of the Soviet Union, as were the countries in Eastern Europe, but, at the same time, it had some restrictions placed upon its independence. For example, Article 4 of the Treaty prevented Finland from allying with any states aligned against the Soviet Union. Other provisions, such as the Article 1 provision that Finland would defend herself in case Germany attacked, seemed to express truisms. Still other provisions called for future economic and social relationships between the two countries. Although not labeled a peace treaty, the Treaty of FCMA was part or a larger, more complicated, occasionally uneasy, Finnish-Soviet post-war peace. Like the other treaties, this one was consented to and ratified. Its legality in terms of international law seems beyond question. However, its legitimacy would always be questioned by some Finns. Why should Finland’s ability to ally itself with others be limited? Why should Finland have to trade with the Soviet Union? Why should Soviet military units be placed on Finnish soil? In short, Finland was free, but not entirely free of Soviet influence, under the terms of the 1948 Treaty of FCMA. The United States had not declared war on Finland during the war and thus did not feel obligated to play a large role in peace talks after the war. The United States followed a policy of noninvolvement. Finland considered the Soviet Union an enemy, and the noninvolvement policy of the United States served to reinforce the Finns’ belief that the should remain independent on the world stage. The terms of the Treaty of FCMA prohibiting Finnish alliances with the West guaranteed that Finland would remain neutral. Meanwhile, in the United states, Roosevelt was proving to be an excellent instrument of American propaganda. In peace conferences, he was a realist, but at home he was an idealist. The idealistic view afforded the public of Roosevelt stirred up considerable anti-Soviet sentiment in the United State. This anti-Soviet sentiment made Americans fearful and suspicious of any Soviet or any country associated with the Soviet Union. And since the United States never considered Finland to be of strategic or economic importance, it felt little motivation to get involved with Finland after the war. For example, the United States was hesitant to give aid to Finland, primarily for two reasons. First, the United States was uncertain about Finland’s relationship with the Soviet Union. The United States certainly did not want to aid a Soviet ally. Second, the United States lacked confidence in the Finnish economy. The United States did not want to give Finland false hopes of Western support. The United States was very much interested in resolving remaining war issues and getting its troops back home. Shreds of United States isolationism were surfacing. It proved a moot point, however, when Finland, true to its neutral and independent ideals, turned down Marshall aid in 1947 and still managed to quickly repay its war debts to the Soviet Union. The British did understand, however, that it was in Finland’s best interest to maintain good relations with the Soviet Union. It was easy for England not to get involved. An island state, it had been able to practice isolationism to some extent in the past, and it felt it could continue doing so. After World War II, the United States was in nearly the opposite situation from the one it was in during World War II. During World War II, Finland was allied with (or associated with) Germany against the Soviet Union, and the United States was allied with the Soviet Union against Germany. At the height of the Cold War, the United states was allied with West Germany, and its primary enemy was the Soviet Union. Also, the United States was more allied 30 with Finland than during the immediate post-war years. At the very least, the United States did not consider Finland an enemy of the United States (although to this day, many people in this country believe Finland to be a communist country). Under the Treaty of FCMA, the relationship between Finland and the Soviet Union was one of mutual coexistence founded on mutual respect. Finland maintained the policy (known as the Paasikivi-Kekkonen line) of realistic neutrality. Finland joined neither NATO nor the Warsaw Pact. 32 In 1955, Finland joined the United Nations, where it did not vote against the Soviet Union, but where it occasionally abstained. 33 In 1956, to the surprise of the United States, 34 the Soviet Union handed the leased military facilities at Porkkala back to Finland, because president Paasikivi promised Khrushchev that Kekkonen, the next president of Finland, would agree to continue the Treaty of FCMA for another twenty years. 35 The Paasikivi-Kekkonen line was the equivalent of political stability for Finland. Still there was tension. The Soviet submarine port near Murmansk on the Kola Peninsula was, for many years, the most heavily defended area in the world. Finland after World War II was is a very strategic location. The Finns, therefore, were wary of the Soviets after World War II. Many in Finland believed that the Soviets were actually trying to create an environment in Finland ideally suited for a Bolshevik-style revolution. Because of this, many Finns distrusted the Soviets. However, such a revolution seemed very unlikely in Finland. The vast majority of Finns were not content to be another Soviet satellite. The Finns are rough people, ruggedly independent, and quite capable of fighting. The Soviets were very aware of this after their experiences in World War II. The military provisions of the Treaty of FCMA never came into play, and the economic provisions proved to be a boon to Finland. Finland imported mostly fuel from the Soviet Union under the treaty, while it exported a range of products. 36 For years, Finland sought to limit its trade with the Soviet Union to 25% of its gross national product. Finland did not want to rely too heavily on its Eastern neighbor. While the Soviet economy foundered, the Finnish economy flourished. The result was ironic. Finland had been forced into the war, forced into peace treaties, and forced into the Treaty of FCMA by the Soviets. The Treaty that Finland never wanted helped it to prosper economically. The situation changed drastically, however, on December 26, 1991, when the Soviet Union ceased to exist. Another issue of international law brought about by the cancellation of the Treaty of FCMA is whether the Karelian lands that were ceded to the Soviet Union as a result of World War II should be returned to Finland. What of the “Great Finland?” some Finns were asking. In 1989, some Finns urged Gorbachev (during one of his trips to Finland) to return Karelia to Finnish control. 43 The international legal basis for Finland’s claim is unclear, however. If Finland’s claim is based on the 1939 Declaration by the League of Nations that the Soviet war on Finland was illegal, then the claim is without merit, because that Declaration is not enforceable by any current international organization. Furthermore, the League took the action it thought appropriate at the time: it expelled the Soviet Union from the League of Nations. Further still, the Finnish use of the Declaration as evidence that the Karelian lands should be returned is weakened by 1) Finland’s subsequent association with Germany in the War or Retribution and 2) Finland’s consent, in defeat, to the 1940 and 1947 peace treaties which recognized the modern border between Finland and Russia. Finland’s argument seems to be based on notions of equity (which could be “general principles of law” — another source of international law); i.e. the liberation of Eastern Europe will be incomplete until Karelia is returned to Finland. 44 More specifically, the Finns could argue, since the Baltics were freed, Karelia should be freed. Finland’s unique position between East and West — both politically and geographically — has enabled her to be a testing ground for diplomatic solutions to difficult international problems. Finlandization, although painful for Finland at times, represented the success of diplomacy, the success of international law. Finland sought legal solutions to its problems of international law, primarily by negotiating and signing various treaties. The Treaty of FCMA helped to keep the peace between Finland and the Soviet Union, but is replacement may not be as successful. If the current unstable state of affairs in Russia worsens, the Finnish drive to reclaim Karelia, whether legal or legitimate, will loose momentum, as the Finns will focus on national defense. What the Finns view as the “Karelian question,” some Russians view as the “Finnish question.” Treaties have long been a recognized source of international law and a means to ending disputes between nations, but so has war. While Finland resorts to the former (e.g. the 1992 treaty with Russia, the current negotiations with the EC, and possibly-future negotiations with NATO), it can only hope that Russia will not resort to the latter. Christopher Brown-Humes, Survey of Finland, Financial Times, October 11, 1993, pp. II, III. Margaret E. Burton, The Assembly of the League of Nations, Howard Fertig Inc., New York, 1974. Francis X. Clines, End of the Soviet Union; Gorbachev, Last Soviet Leader, Resigns; U.S. Recognizes Republics’ Independence, The New York Times, December 26, 1991, Section A, Page 1, Column 5. Barbara Crossette, Finland in $3 Billion Deal for 64 McDonnell Douglas Combat Jets, The New York Times, May 8, 1992, Section A, Page 10, Column 3. Adam M. Garfinkle, “Finlandization”: A Map to a Metaphor, Foreign Policy Research Institute, Philadelphia, 1978. Hamza Hendawi, Zhirinovsky’s Election Showing Alarms Europeans, The Reuter Library Report, December 14, 1993. Eino Jutikkala with Kauko Pirinen, A History of Finland, Dorset Press, New York, 1988. Urho Kekkonen, A President’s View, William Heinman Ltd., London, 1980. Bill Keller, Gorbachev, in Finland, Disavows Any Right of Regional Intervention, The New York Times, October 26, 1989, Section A, Page 1, Column 3. Steve Lohr, Perestroika Enters Finland, a Bit Bumpily, The New York Times, January 16, 1989, Section A, Page 1, Column 2. John Lukacs, Finland Vindicated, Foreign Affairs, Fall 1992, pp. 50-69. Antole G. Mazour, Finland Between East and West, D. Van Nostrand Company, Inc., New York, 1956. Greg McIvor, Finland-Russia: Finns in Battle to Win Land Back from Russia, Inter Press Service, November 13, 1993. R.R. Palmer and Joel Colton, A History of the Modern World Since 1815, Alfred A. Knopf Inc., New York, 1984. Tuomo Polvinen, Between East and West, Finland in International Politics, 1944-1947, University of Minnesota Press, Minneapolis, 1986 (Abridged translation of: Suomi Kansainvalisessa Politiikassa). Elisabeth Rehn, Finland Defines New Identity; Policy, Defense Plans Take Shape After Soviet Demise, Defense News, November 2, 1992. Displaced Finns Say They Will Press for Return of Karelia, The Reuter Library Report, July 8, 1992. Finland Should Join NATO After EC, British Minister Says, The Reuter Library Report, September 16, 1993. Finnish NATO Membership Not Current Issue, The Reuter Library Report, October 8, 1993. Neutrality Still Best for Finland – Presidential Candidate, The Reuter Library Report, November 23, 1993. V. Shmyganovsky, A Populist out of Bounds — The Finnish Press on the Pronouncements of a Former Presidential Candidate, The Current Digest of the Soviet Press, September 11, 1991. Marc Weller, Current Development: The International Response to the Dissolution of the Socialist Federal Republic of Yugoslavia, The American Journal of International Law, July 1992, 86 A.J.I.L. 569. Burns H. Weston, Richard A Falk, and Anthony D’Amato, Basic Documents in International Law and World Order, West Publishing Co., St. Paul, MN, 1990. John H. Wuorinen, A History of Finland, Columbia University Press, New York, 1965. Marat Zubko, Candidates for President of Finland Dream of Return of Karelia, The Current Digest of the Post-Soviet Press, December 8, 1993. 1. John Lukacs, Finland Vindicated, Foreign Affairs, Fall 1992, at pp. 50-51. 2. Eino Jutikkala with Kauko Pirinen, A History of Finland, Dorset Press, New York, 1988, at p. 39. 3. The actual phrasing was that Finland was to be in the Soviet’s “sphere of interest.” Disagreements over what “sphere of interest” meant may have lead to the beginning of World War II. Lukacs at p. 52. 4. Jutikkala at p. 242. 5. R.R. Palmer and Joel Colton, A History of the Modern World Since 1815, Alfred A. Knopf Inc., New York, 1984, at p. 804. 6. Lukacs called this a “harebrained and hypocritical” attempt by the British and French to send a military expedition to Finland. Lukacs at p. 53. 7. “Among all of Germany’s allies and associates, only Finland did not conform to the German pattern — among other things, instituting no discriminatory regulations or legislation against Jews.” Lukacs at p. 53. 8. Jutikkala at p. 245. 9. In August of 1938, the Soviets had offered to defend Finland from Germany, only to attack Finland 15 months later when Finland refused the aid. Finland faced the same situation when, in May 1941, the Germans offered to defend Finland from the Soviet Union. 11. Jutikkala at p. 246. 12. Jutikkala at p. 247. 13. Max Jacobson, Finland: Myth and Reality, Helsinki, 1987, at p. 43. As cited in Lukacs at p. 54. 14. Lukacs at p. 55. 15. Lukacs at p. 54. 16. Margaret E. Burton, The Assembly of the League of Nations, Howard Fertig Inc., New York, 1974, at pp. 388-91. 17. Burton at p. 350. 19. Burton at p. 353. 20. Burton at p. 354. 21. Marc Weller, Current Developments: The International Response to the Dissolution of the Socialist Federal Republic of Yugoslavia, The American Journal of International Law, July 1992, 86 A.J.I.L. 569, at p. 586. 22. Burns H. Weston, Richard A. Falk, and Anthony D’Amato, Basic Documents in International Law and World Order, West Publishing Co., St. Paul, MN, 1990, at p. 17. 23. This conclusion looses force if one considers Finland’s subsequent association — even if not an alliance — with Germany in the War of Retribution to end any claim Finland might have that it was acting in self-defense. For a discussion of this argument, see Anatole G. Mazour, Finland Between East and West, D. Van Nostrand Company, Inc., New York, 1956, at pp. 200-03. For a discussion of the argument that Finland was neutral and acting in self-defense, see John H. Wuorinen, A History of Finland, Columbia University Press, New York, 1965, at pp. 368-69 and Jutikkala at p. 248. 24. Mazour at p. 127. 25. Article 74 provides that “[t]he provisions of the present Convention shall not prejudge any question that may arise in regard to a treaty from a succession of States or from the international responsibility of a State or from the outbreak of hostilities between States.” Weston et al. at p. 107. 26. Weston et al. at p. 188. 27. Mazour at p. 281. 28. In later years, the United States’ role in Nicaragua would be compared with the Soviet Union’s role in Afghanistan, and the Egyptians’ ousting of the Soviets with the Iranians’ ousting of the Americans. Both the United States and the Soviet Union came to realize that it was difficult to project their power and influence to other countries. 29. Tuomo Polvinen, Between East and West, Finland in International Politics, 1944-1947, University of Minnesota Press, Minneapolis, 1986 (Abridged translation of: Suomi Kansainvalisessa Politiikassa). 30. “Allied” ideologically in the sense that both are capitalistic societies with democratically-elected governments. 31. Urho Kekkonen, A President’s View, William Heinemann Ltd., London, 1980. 32. Finland did join the Nordic Council in 1956, the European Free Trade Association in 1961, and it made a trade agreement with the European Economic Community (the Common Market) in 1973. Jutikkala at p. 252. 33. Lukacs at p. 56. 34. “John Foster Dulles … in 1954 proclaimed that during the Cold War ‘neutrality’ for a nation was impossible and immoral; and (President) Kennedy … in 1961 said to a Finnish diplomat: ‘What puzzles us Americans is why the Soviet Union has allowed Finland to retain her independence. '” Lukacs at p. 50. 35. Lukacs at p. 57. 36. Steve Lohr, Perestroika Enters Finland, a Bit Bumpily, The New York Times, January 16, 1989, Section A, Page 1, Column 2. 37. Francis X. Clines, End of the Soviet Union; Gorbachev, Last Soviet Leader, Resigns; U.S. Recognizes Republics’ Independence, The New York Times, December 26, 1991, Section A, Page 1, Column 5. 38. Lukacs at p. 58. 39. Lukacs at p. 58. 40. Christopher Brown-Humes, Survey of Finland, Financial Times, October 11, 1993, at p. II. 41. Finland Should Join NATO After EC, British Minister Says, Reuter Library Report, September 16, 1993. 42. Finnish NATO Membership Not Current Issue, Reuter Library Report, October 8, 1993. 43. Bill Keller, Gorbachev, in Finland, Disavows Any Right of Regional Intervention, The New York Times, October 26, 1989, Section A, Page 1, Column 3. 44. Greg McIvor, Finland-Russia: Finns in Battle to Win Land Back from Russia, Inter Press Service, November 13, 1993. 45. Weston et al. at p. 115. 46. Displaced Finns Say They Will Press for Return of Karelia, The Reuter Library Report, July 8, 1992. 47. Marat Zubko, Candidates for President of Finland Dream or Return of Karelia, Current Digest of the Post-Soviet Press, December 8, 1993. 48. McIvor at p. 4. 49. Hamza Hendawi, Zhirinovsky’s Election Showing Alarms Europeans, The Reuter Library Report, December 14, 1993. 50. V. Shmyganovsky, A Populist out of Bounds — The Finnish Press on the Pronouncements of a Former Presidential Candidate, The Current Digest of the Soviet Press, September 11, 1991. 52. Elizabeth Rehn, Finland Defines New Identity; Policy, Defense Plans Take Shape After Soviet Demise, Defense News, November 2, 1992. 53. Barbar Crossette, Finland in $3 Billion Deal for 53 McDonnell Douglas Combat Jets, The New York Times, May 8, 1992, Section A, Page 10, Column 3. 54. Lukacs at p. 58. 55. “Finnish presidential candidate Paavo Vaeyrynen was quoted on Tuesday as saying that Russia’s new military doctrine meant it was better for his country to remain neutral. ‘I think Finland should stay neutral come what may, but the new military doctrine of Russia is a further fundamental reason why it is the wise thing to do,’ the former foreign minister told the provincial newspaper Lalli.” Neutrality Still Best for Finland, The Reuter Library Report, November 23, 1993. 57. The current events in Russia may convince a majority of Finns that EC membership is desirable. As of this writing, the majority of Finns do not favor Finland’s joining the EC, primarily due to the EC’s unwillingness to give subsides to Finland’s farmers. Although farming represents a small percentage (only about five percent) of the Finnish economy, it is part of Finland’s culture — and important part for many Finns. Brown-Humes at p. III. 58. Brown-Humes at p. III. Hmm. I wrote this piece in 1993, so I’d have to do some research to check my references on that one. But thanks! Erik, actually the puppet government was set up in Terijoki, a small Finnish town close to St. Petersburg. This government never made it to Helsinki and was quietly dissolved.